Counterfeiting of drugs has become a favorite activity of organized criminals and it negatively impacts the citizens of every country in the world. The pharma industry is multi-national, the criminals are multi-national, the patients that are harmed are multi-national. What we need now more than ever before is a multi-national approach to fighting these crimes. That’s why I was deeply disappointed last week to read that the World Health Organization (WHO) has barred a group of people with certain global crime fighting ideas from participating in their “member state” meeting on substandard/spurious/falsely-labelled/falsified/counterfeit medical products being held today through Wednesday in Buenos Aires, Argentina. See the Reuters article “Row flares over global fight against fake medicine” and see Roger Bate’s introduction to the group’s position “How to achieve international action on falsified and substandard medicines” and don’t miss the full PDF containing the group’s well-stated position. Most Warehouse Management Systems (WMS) available on the market today do a fine job of allowing their users to manage inventories in the warehouses of drug manufacturers, distributors and chain drug stores. A WMS is a software system that may be a part of a larger Enterprise Resource Planning (ERP) system, or it may be a third-party application that is interfaced with the owner’s ERP system. All WMS systems that I am aware of are intended to be sold into multiple industries, not just in pharma. That’s so that the WMS vendor can maximize their sales. The more industries, the more sales and the more profitable it is. Because some industries have long had serial numbers on some of their products (computers and peripheral equipment, cell phones, electronics, medical equipment, appliances, etc.) WMS vendors have included serial number handling in their software for decades. In fact, I would bet that a serial number handling feature was included in WMS systems since the very beginning of that category of software. 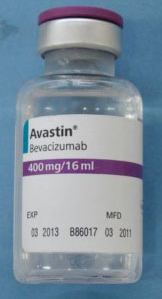 The internet lit up last week when the U.S. Food and Drug Administration (FDA) posted an announcement that they are aware of counterfeit Avastin in the U.S. pharmaceutical supply chain (see “Counterfeit Version of Avastin in U.S. Distribution” on the FDA website and Genentech’s announcement). I found out about it when I received notice of Dr. Adam Fein’s (PhD) excellent blog posting “Greedy Physicians Invite Fake Avastin Into the Supply Chain” on his DrugChannels.net blog, but multiple national news agencies picked the story up and many articles were written about it. Most simply reflected the contents in the FDA’s announcement. But at least one news source seemed to do some additional investigating. Bill Berkrot and John Acher of Reuters published the excellent article “Fake Avastin’s path to U.S. traced to Egypt” on Thursday. In the article they provide a little more background on the path the drugs allegedly took before apparently arriving on the shelves of U.S. physicians and potentially in the bodies of unsuspecting U.S. patients. And Pharmaceutical Commerce Online reports that Avastin isn’t the only incident of recent counterfeit injectable cancer drugs making it into the U.S. market that the FDA is currently investigating. West-African countries have been under attack by drug counterfeiting criminals for decades with little resistance until the last one. The result, in 2002 Mohammed Yaro Budah, then president of the Pharmaceutical Society of Nigeria, estimated that 70% of the drugs in Nigeria were fake or substandard. That’s an incredible figure, but starting around that time the Nigerian National Agency for Food and Drug Administration and Control (NAFDAC) under the direction of Professor Dora Akunyili began fighting back. Initially they focused on inspecting drug imports at the Nigerian ports and airports and they were able to bring the percentage of fake or substandard drugs to come down considerably. More recently they have begun employing a number of Raman Spectroscopy-based devices called TruScan (recently acquired by Thermo Scientific) to inspect drugs and anti-viral medicines being sold in pharmacies during “unscheduled” visits. Even more recently, a number of pharma manufacturers have begun to add low cost scratch-off stickers to the drugs sold in Nigeria that cover a random number that can be scratched off and checked for authenticity by patients and healthcare professionals using SMS text message-based technology from Sproxil. The service was launched in 2010 on a single product but that number is growing quickly as a number of large U.S.-based drug companies add the scratch-off stickers to their products. The service is sponsored by NAFDAC. WOULD THESE TECHNOLOGIES WORK IN THE U.S.? At the end of my last essay I said I had recently concluded that the jump to a fully automated pharma supply chain upstream visibility system is too big and complex to be achievable by every company in the U.S. supply chain by the California dates. I want to explain that statement in a future essay (soon), but before I do I want to explore some of the track and trace models that are being considered by both GS1 and the FDA. I particularly want to look at the viability of each model because I think we will find that some just aren’t (viable), and that will help narrow the search. 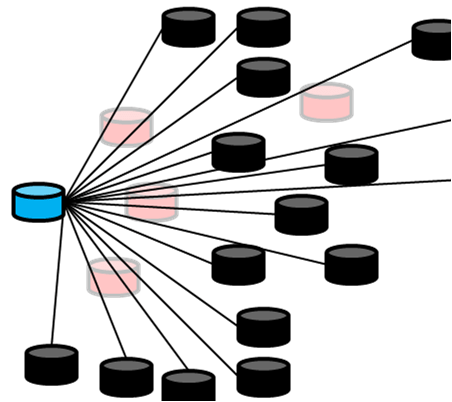 I’ll look at the three basic models that the FDA mentioned in their recent workshop: Centralized, Semi-Centralized and Distributed (or Decentralized as the FDA called it). There are others, but it seems that they can all be either based on, or reduced to, one of these three basic models. In this essay I am looking at track & trace models from a global viewpoint, which is something that GS1 is doing but the FDA may not. 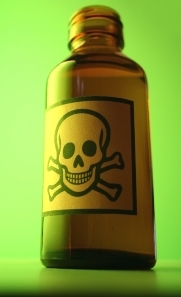 Attacks on the pharma supply chain are a global problem and global problems demand global solutions or gaps will be left for criminals to exploit. Currently well over half of the U.S. states have a drug pedigree law of some kind either on the books, in the process of being enacted or proposed in their legislature. No two laws are exactly the same. That fact is quite painful for the national participants in the supply chain and it gets a little worse every time a new law is enacted or a change is made to an existing law. For this reason, the conventional wisdom among many supply chain participants, industry organizations, solution providers, and even the regulators themselves is that a nationwide pedigree law would be better than 50 different local laws. Conversations about the merits of various pedigree and authentication models usually start from dissatisfaction with some characteristic of the current GS1 DPMS pedigree model. I maintain that the design of DPMS—including its perceived flaws—is merely a reflection of the current state and federal pedigree laws and regulations. Characteristics that people don’t like—like digital signatures, a growing document as drugs move down the supply chain, and the fact that Supply Chain Master Data is not used by DPMS—are actually all characteristics of the laws and/or regulations, so any alternate pedigree model that would truly be usable for compliance would need those characteristics too. But that’s not exactly what I want to discuss in this essay. Instead, I wanted to explain my theory of what U.S. pedigree laws are trying to accomplish in the first place. Forget about how they do it for now. What were the goals of those who wrote these laws and regulations? I’ll agree that this is impossible to know for sure but I think I can construct a pretty convincing theory. I don’t know any of the legislators or congresspeople who wrote these laws, but I have studied their work for over four years now. I have made the following observations. The highest priority goal of the Florida and California laws appears to be to detect the introduction of illegitimate drugs (counterfeit, stolen, up-labeled, diverted, etc.) into the legitimate supply chain as early as possible, preferably at the very first transaction. These laws accomplish this by requiring companies buying drugs within the supply chain to receive the full supply chain history of those drugs at the time of the purchase (contained in a “pedigree”), and, most importantly, by requiring them to verify the legitimacy of those prior transactions. In Florida that verification can be performed by direct contact, such as a phone call, email, fax, etc., or, optionally, through the use if digital signatures. 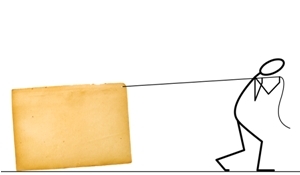 In California, this verification can only be performed through the use of digital signatures. 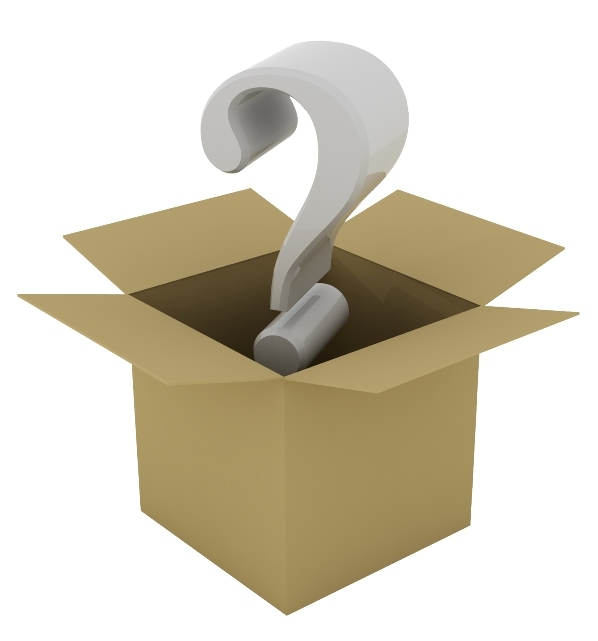 The federal PDMA, on the other hand, does not appear to obligate the buyer to do any verification of the information provided on pedigrees they receive.Finally, Florida and California both require the recipient of the shipment to confirm that the physical drugs they received match those described by the pedigrees they received. That seems obvious, doesn’t it? Why would any legislative body require all or some supply chain participants to go through all the expense to generate and pass pedigree information but stop short of requiring anyone to actually look at it? Well, oddly, the federal PDMA appears to do just that.